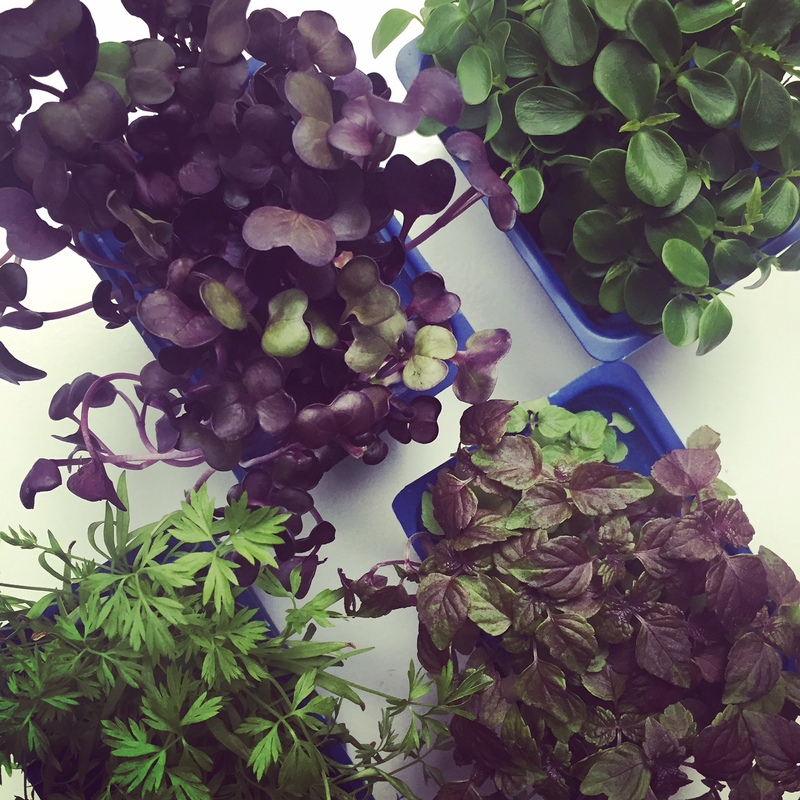 Micro-greens are the tiny, young leaves from vegetable and herb plants that enhance the beauty and flavor of a dish. These leaves come from small seedlings and are only between 10 to 14 days old. As well, these greens are much smaller than “baby greens” but harvested later than “sprouts”. Kinds of micro-greens include spinach, pea, cilantro, basil and dill. Chef’s and restauranteurs have been using micro-greens for years now, but now they are becoming more readily available in various markets and grocery stores. When you want to amp up your next meal, try incorporating micro-greens into your recipe for a familiar flavor with unique beauty.